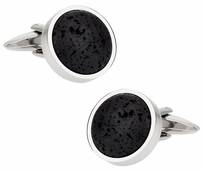 Semi-precious stones by definition offer a unique and rare gem that adds to anyone’s appearance. 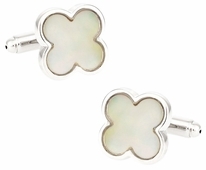 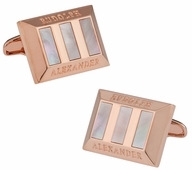 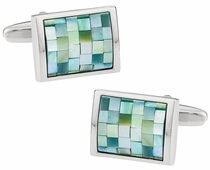 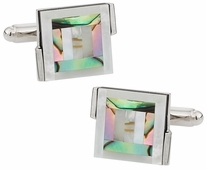 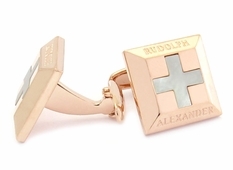 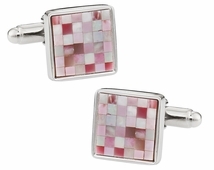 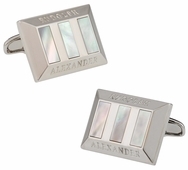 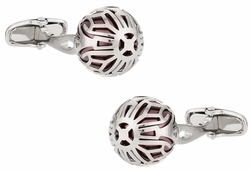 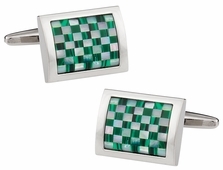 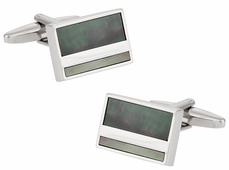 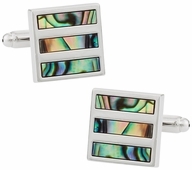 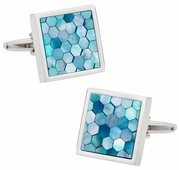 Let your imagination run wild as you track down the best and most precious of gem stones formatted into cufflinks. 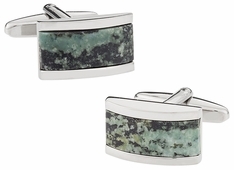 Whether you are a fan of abalone, pearl, jasper, onyx, lapis, or malachite, Cuff-daddy.com will have a stone for you. 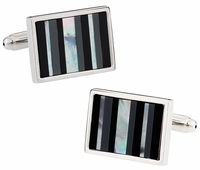 One of the most unique creations available for those with discerning taste is the zebra stone. 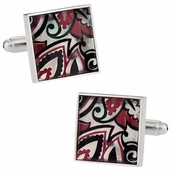 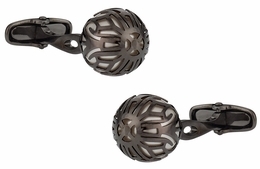 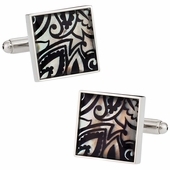 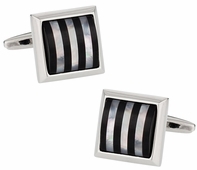 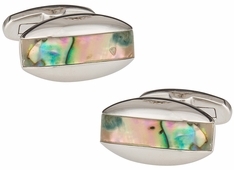 This pair is set in a curved bar of silver with a white and black zebra pattern. 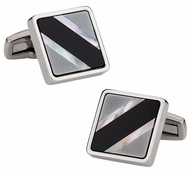 It is the perfect accompaniment to any pinstripe suit you might wear for business, special events, or the more casual wedding. 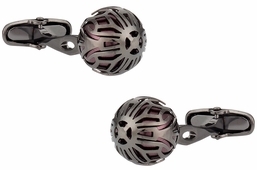 Do you like the look of eyes when created in a piece of jewelry? 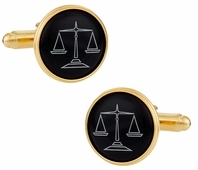 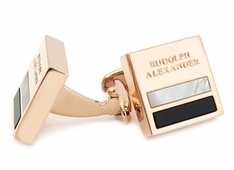 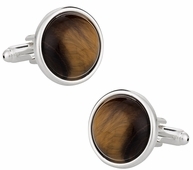 If so you have a few choices like the Tigers Eye rounded cufflink, which offers a shimmering brown color or the double Black Onyx Silver cufflinks. 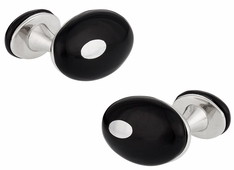 The double black has a little white so they appear like cartoon eyes. 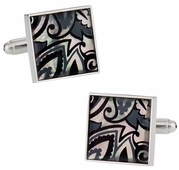 This is just one entertaining style available to you. 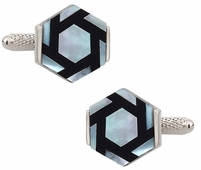 While it is typical that our audience is male and they are looking for designs to fit with work, events, and weddings we also cater to the modern woman. 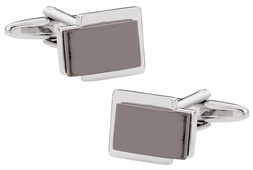 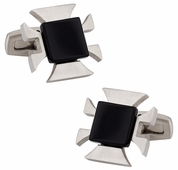 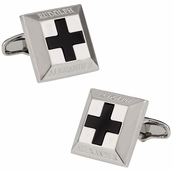 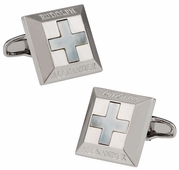 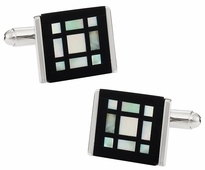 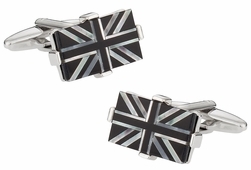 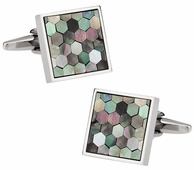 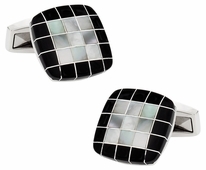 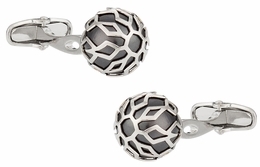 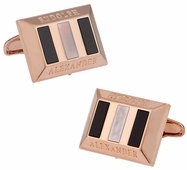 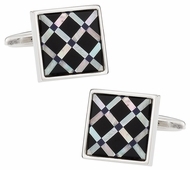 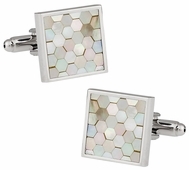 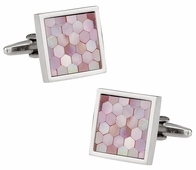 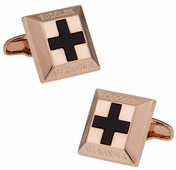 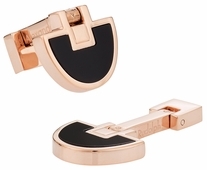 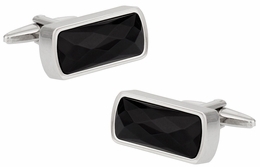 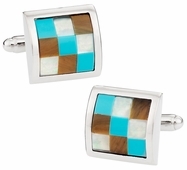 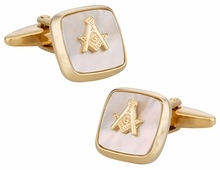 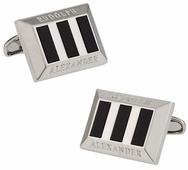 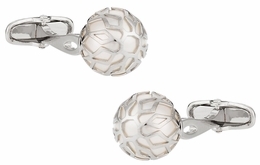 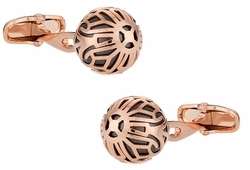 One of the most stunning options is the semi-precious cufflinks called Motion that is a hexagon with black and white. 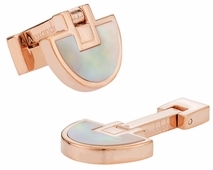 It shimmers in the light due to mother of pearl. 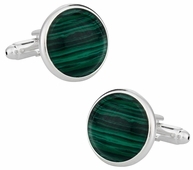 Another choice for the modern woman looking to add something special to their work uniform is the jade and abalone stripes which offer a beautiful kaleidoscope of green hues and white. 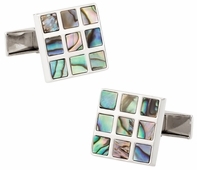 Shop till you drop in this section, which contains semi-precious cufflinks featuring mother of pearl, abalone, onyx, jasper, lapis, and other fine materials. 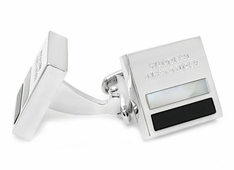 You've worked hard and deserve it, but at the same time you don't need to spend a fortune on elegant accessories like these. 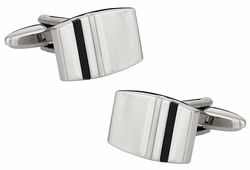 Here at Cuff-Daddy we guarantee the lowest price on the Net so don't hesitate to shop our competition. 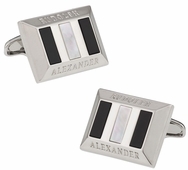 But a good shopping experience isn't all about price. 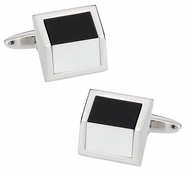 We have a generous return policy and a guarantee on product quality. 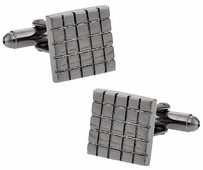 Please let us know if you have any questions about our products or services.